Compatible mask + setup pack. Get an AirMini Ultimate Package with all you need. Our selection guide can help. 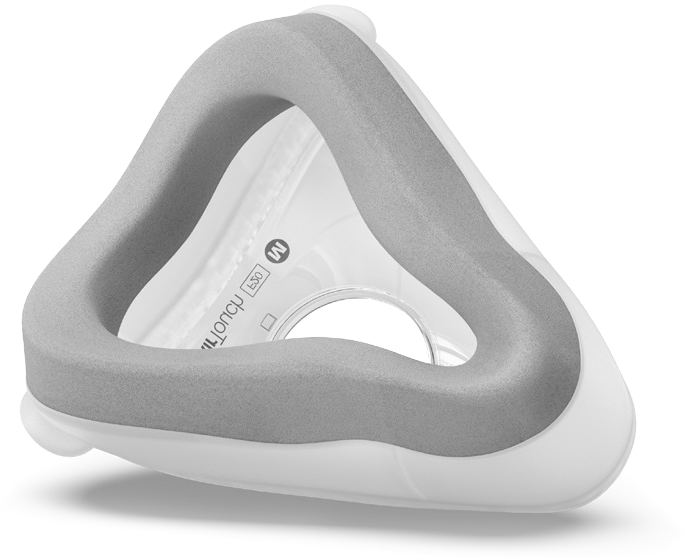 The AirTouch F20 For Her CPAP Mask features ResMed's softest ever UltraSoft Memory Foam Cushion! UltraSoft Memory Foam cushions are incredibly soft, breathable, and adaptable so they provide a much more gentle and flexible seal than traditional silicone cushions -- even at high pressures. AirTouch F20 For Her also features plush headgear and circular diffused venting for the ultimate in sleep therapy comfort. AirTouch F20 For Her's frame flexes naturally to fit each individual user's facial profile, minimizing facial contact, improving stability, and providing an unrestricted field of view. F20 doesn't require any facial contact above the eyes and integrated padding, within the frame, adds cushioning so you can read, watch TV and enjoy your bedtime routine without worrying about pinching, pressure or red marks from your mask. AirTouch F20 For Her's UltraSoft Cushion is ResMed's softest ever. UltraSoft cushions feature lightweight, breathable memory foam that delivers unprecedented comfort and a light, breathable seal -- even at high pressures. UltraSoft cushions are much more adaptable to facial features than traditional silicone cushions; and they're breathable so the cushion feels more natural on the face. Two cushion sizes are available -- Small and Medium -- to fit a wide range of users. Large cushions are also available as a separate item for users with larger facial profiles. AirTouch UltraSoft cushions should not be cleaned like traditional silicone cushions, instead they should be wiped down daily with a mask cleaning wipe and then replaced after 30 days of use. For complete instructions review the documentation that came with your equipment. Plush Headgear, specifically designed for extra softness and stability, is included with all F20 masks. Rolled-edge fabric straps on the headgear are designed to be worn loosely so the UltraSoft cushion can adapt to your individual facial contours without excessive pressure. Magnetic clips on the lower straps guide the headgear into the frame so it is quick and easy to put on and take off. All AirFit F20 For Her masks come with Small Headgear with lavender highlights. AirTouch F20 For Her features ResMed's QuietAir Elbow with almost silent air dispersion and a more gentle exhaust airflow than ever before so everyone can enjoy a quiet, comfortable night's sleep. 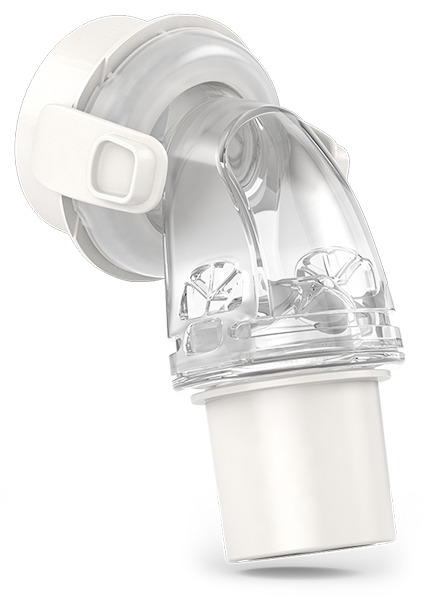 F20's elbow also features quick release squeeze-tabs so it's easy to detach with one hand at night; and it rotates 360° with an independent tube swivel to reduce tubing drag and resistance. AirTouch F20 For Her & AirFit F20 For Her masks are built around the same flexible, padded frame and headgear system so all of the cushions and parts on both masks are completely interchangeable. Easy and convenient AirTouch F20 & AirFit F20 let you customize to suit your needs and sleep your way! Available Sizes: The For Her F20 mask includes the small headgear versus the standard headgear and is available with the small or medium cushion.